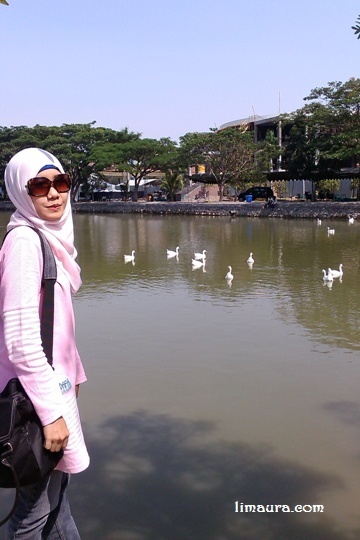 The Pink, The Swan and Lake of Love - Lisa Maulida R.
Saturday morning, I went to somewhere. Actually I did not have preparation (as usual). I just walked out without itinerary. With my lovely sister I drove about 7 kilometers to north Surabaya. 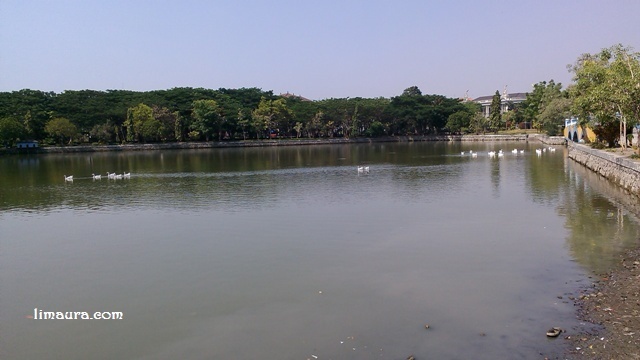 And this place called Lake of Love. Unfortunately, I do not know, why do they call it with "lake of love". I just tried to enjoy this place, with some sunshine. Yeah, it was so hot. Honestly, that place is a part of my campus. 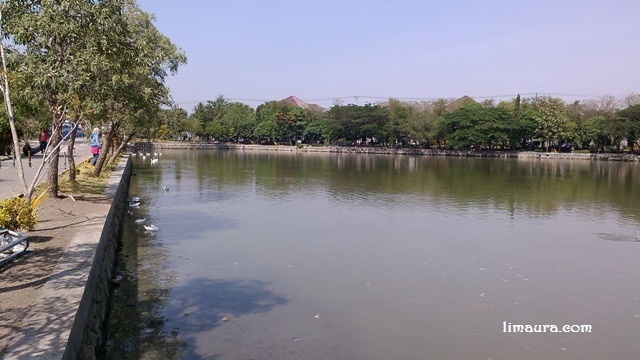 Beautiful and big campus, Airlangga University. 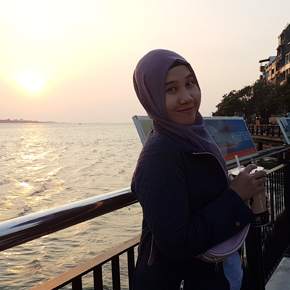 The beautiful landscape in here invite people to enjoy their holiday at the weekend. How lucky I am, just a few people being here when I came. 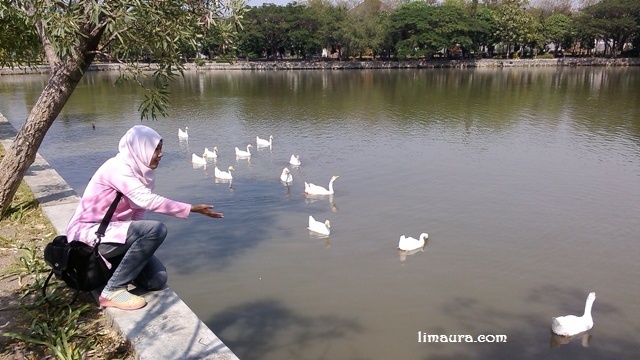 Lake of Love has so many geese, beautiful swan. Maybe thats why they call it "Lake of Love". Very romantic, standing in a place surrounded by lots of geese. 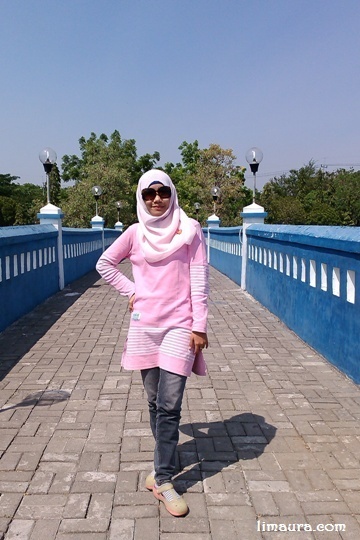 When I was a student in Airlangga University, there was someone who shoot and said love to me in that place. 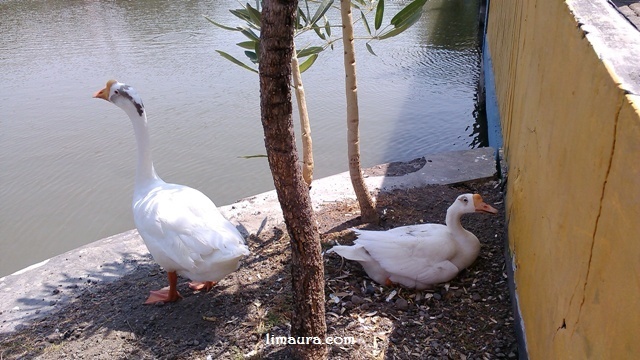 With all his courage, with lots of geese around me, he said love and his promise if I accept him. So romantic, but still, so awkward. In the middle of the lake, there is a bridge that stands upright. 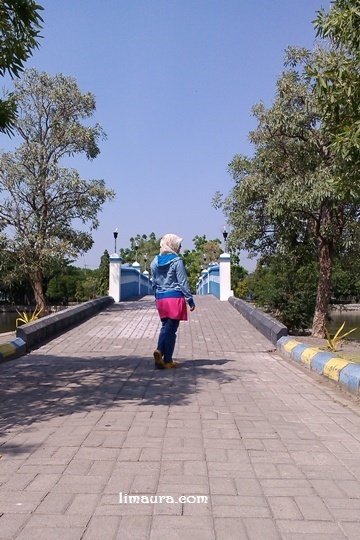 From the bridge we could see the rector's office which became an icon of airlangga's building. Unfortunately, I did not take that picture. Suddenly, my sister saw there is a couple of goose on the edge of the bridge. I did not know why they did not swim like their friends. A male goose seems was keeping a female goose. And the female goose sat and looked terrible. I thought she was sick. I did touch her head then she was angry, shouted with a bad voice. A male goose just looked at me and be ready to attack me. Whoa! So I just looked at them. 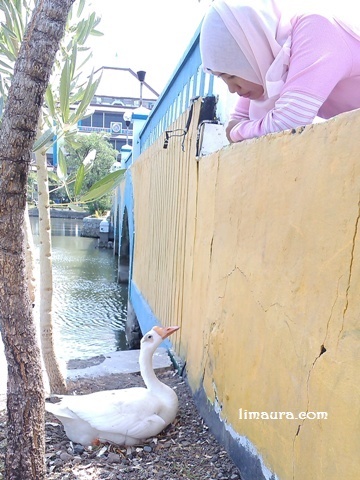 I was amazed when a female goose stood up and there was an egg underneath. God! They will have goslings. So I took a step back and leave them. The sun shines more brightly and I had to go to somewhere again. See you on the next "walk".